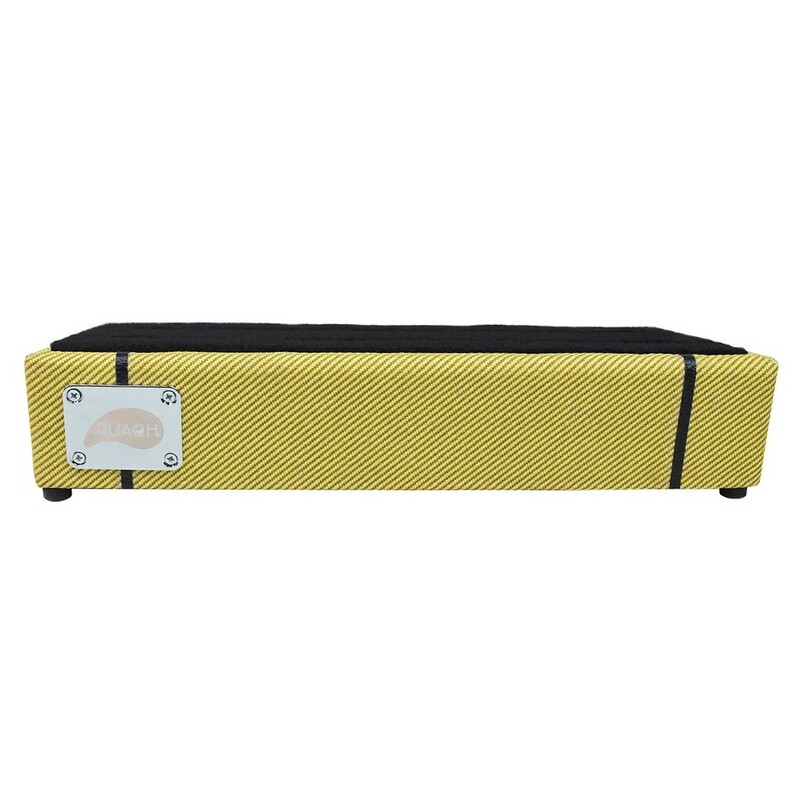 The Ruach Light Tweed 2 Pedal Board is the second smallest board in the light tweed series, accommodating up to 4 pedals or 10 nano pedals with room underneath for power supplies and to hide messy cables. The board’s stylish light tweed aesthetic delivers a vintage feel to any setup, transporting you back to the dimly lit, smoky world of old blues joints. 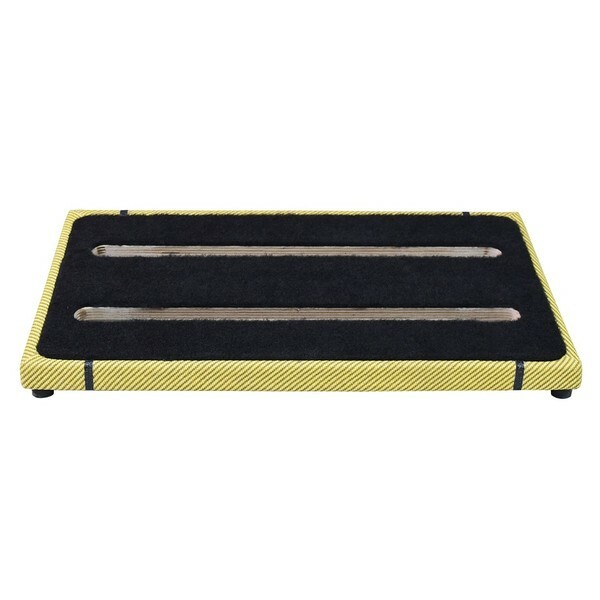 The board also comes with velcro strips for quick and easy pedal mounting, and a carry case for transporting from gig to gig. With its compact and reliable design suitable for medium sized pedal collections, the Light Tweed 2 Pedal Board is the perfect companion for gigging musicians. The Ruach Light Tweed 2 is a high-quality guitar effects pedal board with space for mounting a medium sized collection of effects pedals. The board is designed to simplify your pedal management, offering a stable and durable foundation for up to 4 large pedals, or 10 nano pedals. 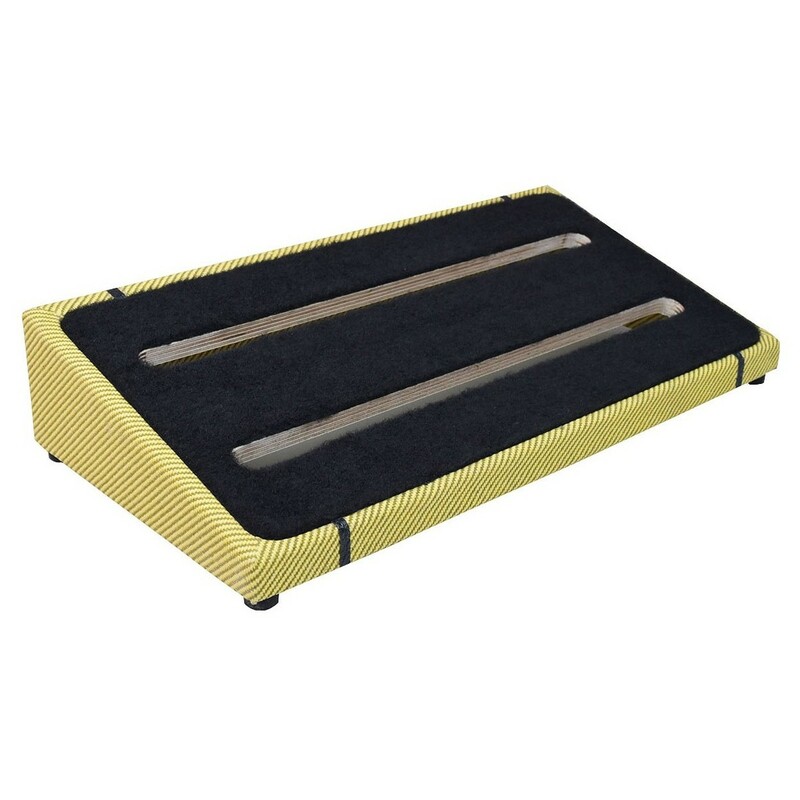 The Ruach board features an ergonomically slanted design with durable rubber feet for stability and balance on any surface, making the board a great foundation for your pedals. 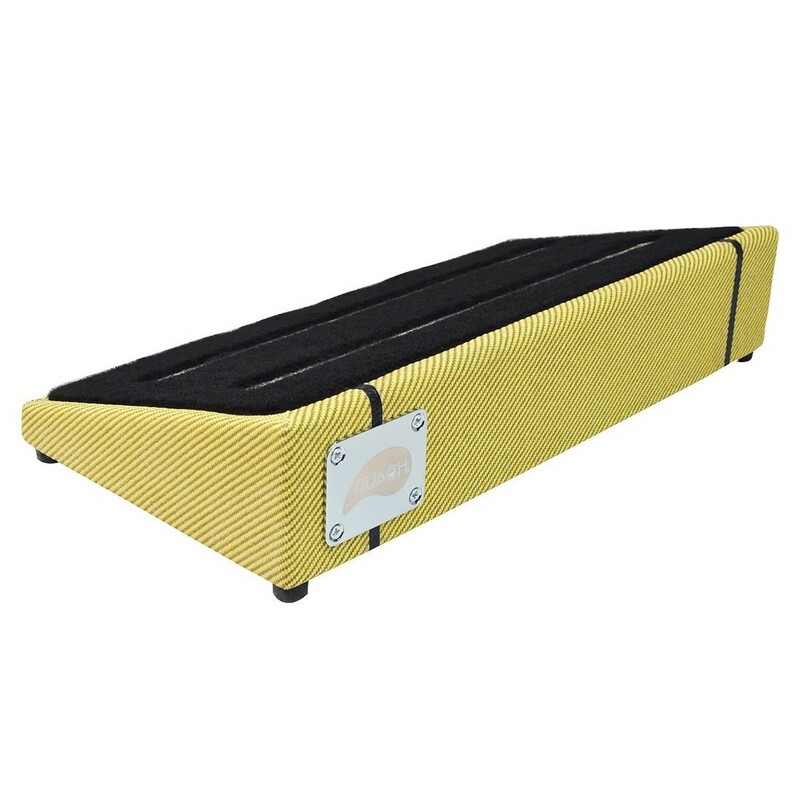 It also includes a case for transportation, and velcro for mounting your pedals to provide the perfect board for any travelling or gigging musician. Ruach Pedal Boards are hand-built in Northern Ireland using the finest hardwoods and materials for unparalleled performance and substantial durability. The light tweed series is designed with the classic tweed aesthetic, transporting you back to the smoky, dimly lit world of blues. Ruach are following the “Ruach Breathe” initiative, focusing on producing their instruments with respect for the world around us. The idea is to craft instruments that musicians desire, whilst minimising the companies carbon footprint. Ruach are implementing the physicality of their proposition by planting a tree for every pedalboard purchased. Ruach are always developing their designs and manufacturing techniques whilst following the “Ruach Breathe” initiative which focuses on minimising the companies carbon footprint. Despite being a small company, Ruach are growing fast and beginning to distribute more and more of their high-quality instruments around the world. Whilst manufacturing their instruments, Ruach prioritise their customers, listening to them as well as the market and the global music community.